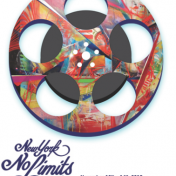 Complimentary Tickets to New York No Limits Film Series Screening on 11/14/15! Claudia Rivera October 27, 2015 October 27, 2015 No Comments on Complimentary Tickets to New York No Limits Film Series Screening on 11/14/15! 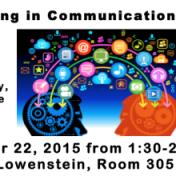 Join us for an Information Session about majoring in Communication & Media Studies Oct. 20 at 1:30pm in Lowenstein 305! Claudia Rivera October 20, 2015 October 20, 2015 No Comments on Join us for an Information Session about majoring in Communication & Media Studies Oct. 20 at 1:30pm in Lowenstein 305! Dr. Gwenyth Jackaway will be discussing the CMS major and concentrations with those interested in beginning their path to a career in communication and media. All are welcome! You’re Invited! The Nightly Show with Larry Wilmore is hosting actor Jeff Daniels and rapper/actor Joe Budden onTuesday, October 20, 2015. Get your VIP tickets today! 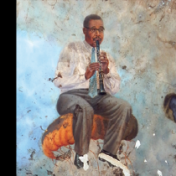 Claudia Rivera October 19, 2015 October 19, 2015 No Comments on You’re Invited! 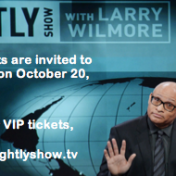 The Nightly Show with Larry Wilmore is hosting actor Jeff Daniels and rapper/actor Joe Budden onTuesday, October 20, 2015. Get your VIP tickets today! Fordham CMS Students Present the Emmys! Claudia Rivera October 15, 2015 October 15, 2015 No Comments on Fordham CMS Students Present the Emmys! On Monday, September 28, four CMS students presented the awards at the News and Documentary Emmy Awards as Emmy Ambassadors. Here are some great photos of Julianne Ferreira, Dan Grbic, and Anne Marie Bogar! 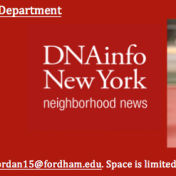 Katie Honan, Reporter/ Producer at DNAinfo to speak at Fordham! Claudia Rivera September 29, 2015 September 29, 2015 No Comments on Katie Honan, Reporter/ Producer at DNAinfo to speak at Fordham! Please join Professor Jaime Jordan and her class to hear guest speaker Katie Honan discuss beat reporting and breaking into journalism. All are welcome! No need to R.S.V.P. Just come on down to FMH Walsh Media Lab at 1pm.